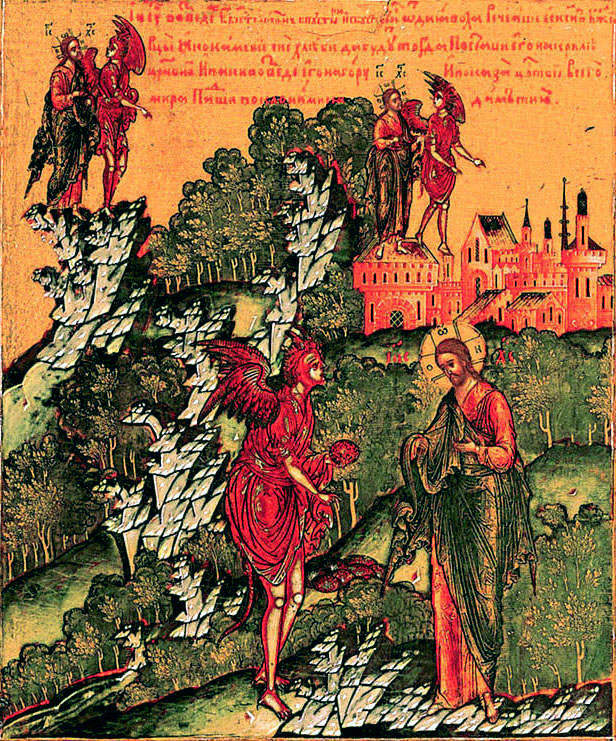 For the Fourth Sunday After Epiphany, the Epistle reading is Romans 13:1-7, which is a morality and responsibity homily by St. Paul, explaining the source of all governmental authority (God) and the responsibilities of both ruler and ruled to do good and shun evil. The content of St. Paul’s homily influenced the Prayer for All in Civil Authority found in the Morning Prayer office in the 1928 B.C.P. The Gospel reading for the day is St. Matthew’s account of the Healing of the Leper and the Healing of the Centurion’s servant. 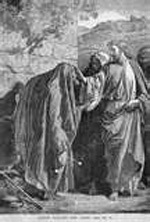 I am very fond of the illustration of the healing of the leper that was included in Canon Farrar’s The Life of Christ, published in 1894. 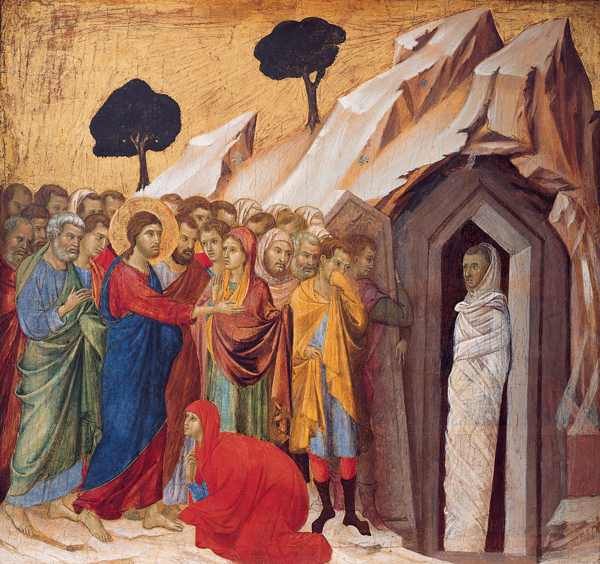 In the homily I explore the Old Testament requirements for healing of lepers and why Jesus’ action upset the Pharisees and also quote from St. Cyril of Alexandria on the meaning of the text. There are two closing prayers, one by St. Augustine of Hippo on the light coming into the world and the Collect for Epiphany 4. 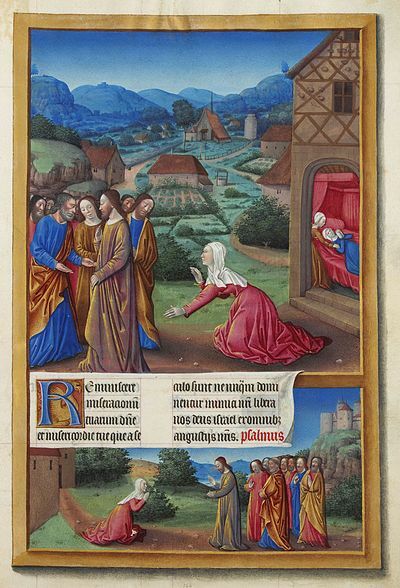 For the Fifth Sunday After Epiphany, the Epistle reading is another selection from the canon of St. Paul, Colossians 3:12-17, a lesson on Christian virtues and the value of forgiveness. I discuss St. Paul’s influence on the creation of the list of Christian Virtues according to the Eastern Church and Western Church understanding, using the work of St. John Climacus (Ladder of Divine Ascent) and the Gregorian Sacramentary from the Roman Catholic tradition, explaining the primary virtues, cardinal sins, and contrary virtures. The Gospel reading is Matthew 13:24-30, the Parable of the Wheat and the Tares. 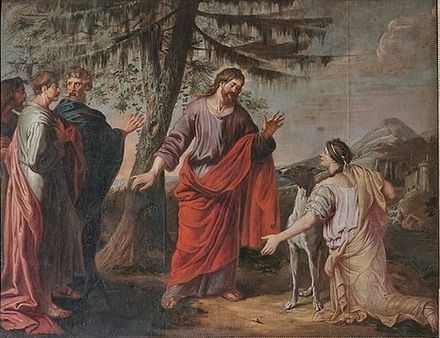 Since the last three Sundays after Epiphany all focus on aspects of Jesus’ coming again to be our judge, the parable of the Wheat and the Tares offers a quite clear lesson on the fate of those who live by the law of God and those who live by the guidance of Satan. 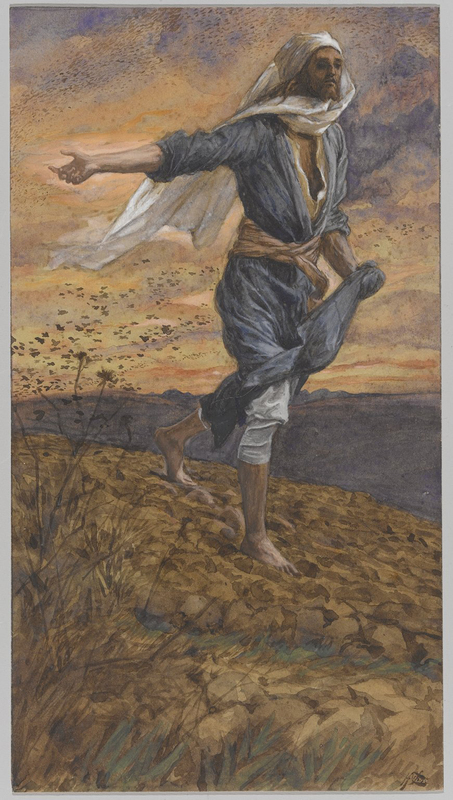 The illustration is a circa 1900 photograph of harvesting in the Holy Land in which the workers are dealing with the wheat and tares. Some will be gathered and burned. Some will be taken into the master’s barn. For the Sixth Sunday After Epiphany, the final Sunday of Epiphany season, the B.C.P. provides a lesson on love from the pens of St. John the Apostle, Evangelist and Theologian. 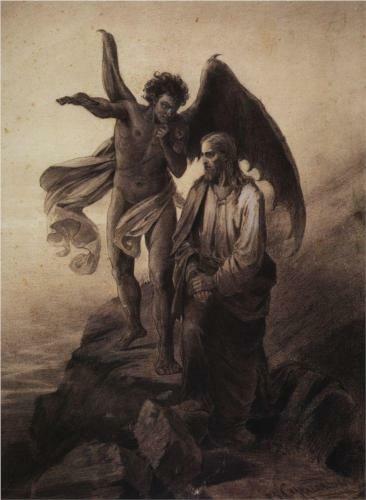 His epistle comforts the faithful in the knowledge that what they believe is the Truth and that all else is falsehood advocated by the forces of the Evil One, who does what he has done “from the beginning,” (1 John 3:8a) that is, tempt and mislead the faithful into sin. 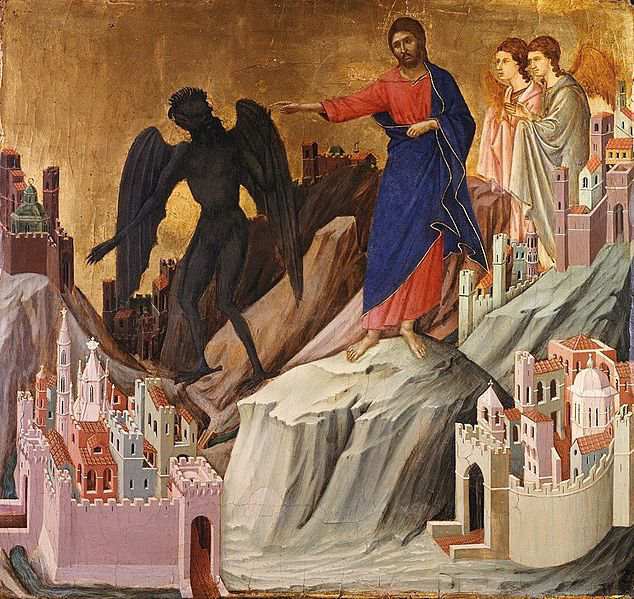 He assures them that those who live lives following the teachings of Christ will be judged “righteous” and those who live lives led by the Evil One are sinful: “He who sins is of the devil” (1 John 3:8a). The Gospel readings is Matthew 24:23-31, Jesus prophecy of His own death and Resurrection and discussions of the signs of His Second Coming. Traditional teaching is that one cannot know when this event will happen but must always be prepared for it, whether it is now, tomorrow or some other time. 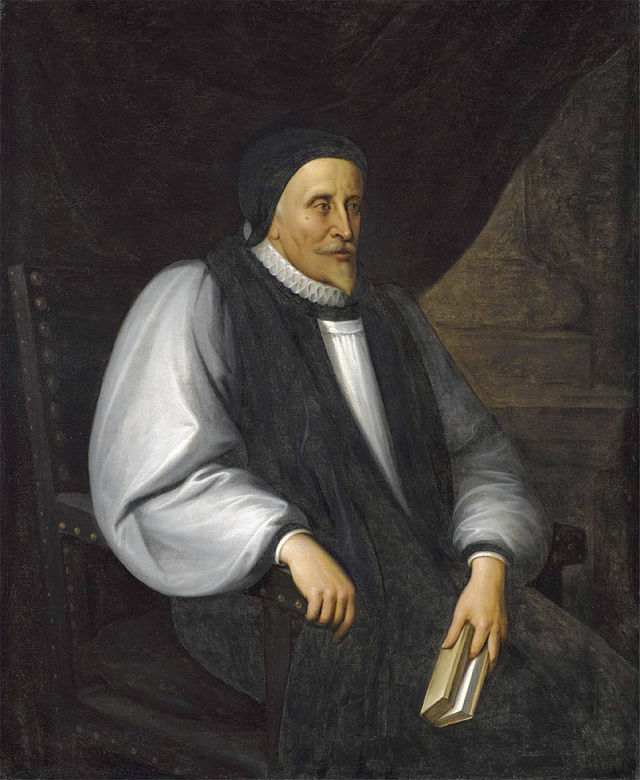 The closing prayer is the Collect for the day, largely based on the work of Bishop John Cosin on the theme of reality of evil/the devil and the hope of all the faithful to be made like their Maker and allowed into His glorious kingdom. 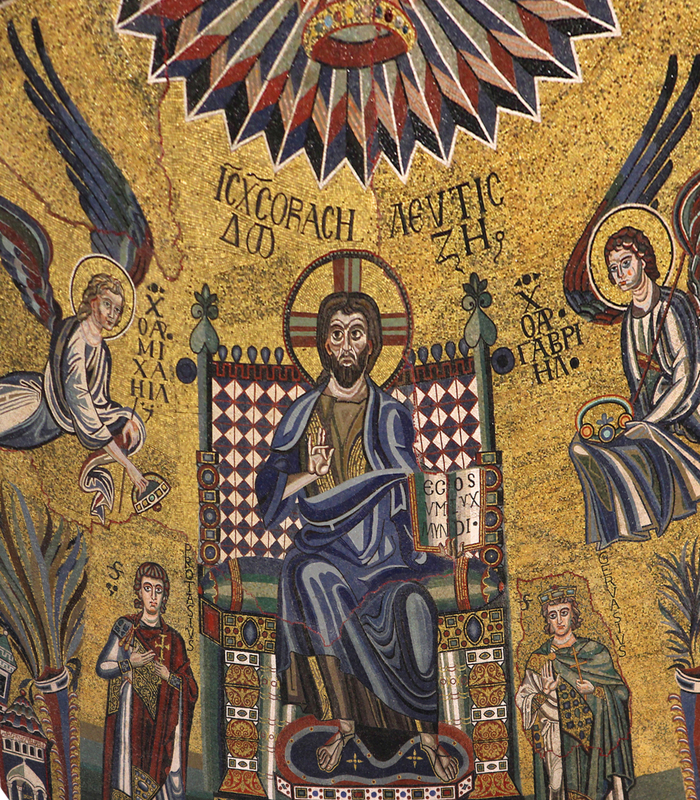 The illustration is a Christ Pantokrator (roughly: Ruler of the Universe) from around the 11th Century in Milan. Thanks and blessings to all who have supported the electronic ministry of The Anglican Internet Church.